CNN has acquired technology company Zite, a news app for the iPad that gives users a personalized magazine-like experience, it was announced today by Jim Walton, president of CNN Worldwide. CNN has added Zite to its already robust portfolio of digital products as a separate, stand-alone business that will continue to innovate and provide users with the news and information they want. Zite is an iPad app that leverages deeper technology to provide an individually personalized experience. Zite surfaces content to users that they will find most interesting from a variety of sources across the Web by learning users’ preferences and getting smarter as it’s used. Johnson will continue to run Zite’s day-to-day operations out of headquarters in San Francisco and will report to Estenson. Founder Ali Davar will stay on board as Executive Director. Mike Klass will continue to lead Zite’s technology R&D as CTO. Zite will be a wholly owned subsidiary of CNN. Available for free on the iPad, users can download Zite from the App Store or iTunes. 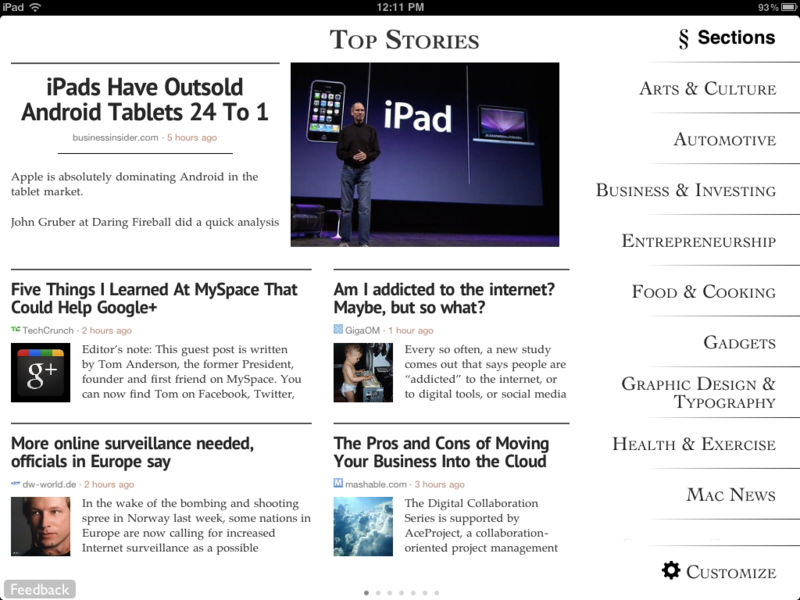 Zite is a free, personalized iPad magazine that understands what you like and gets smarter as you use it. Zite helps you discover what you’ve been missing in one convenient app. Zite learns as you use it to bring you the articles you will find most interesting from a variety of sources across the web. Headquartered in San Francisco with offices in Vancouver, British Columbia, Zite is wholly-owned subsidiary of CNN. To get to know Zite, go to http://www.zite.com. CNN Worldwide, a division of Turner Broadcasting System, Inc., a Time Warner Company, is the most trusted source for news and information. Its reach extends to nine cable and satellite television networks; one private place-based network; two radio networks; mobile applications and websites around the world; CNN Digital Network, the No. 1 network of news Web sites in the United States; CNN Newsource, the world’s most extensively syndicated news service; and strategic international partnerships within both television and the digital media.